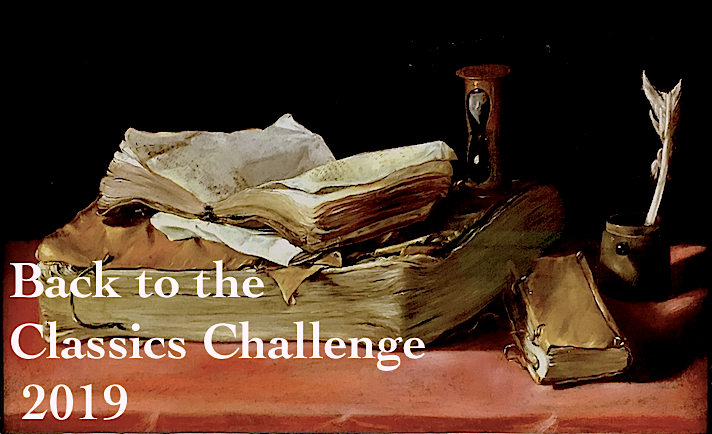 I belong to three face-to-face book groups, and I have to admit that I'm terrible about getting the books read on time -- I usually leave them to the last minute, and it's a rare month in which I finish all three books. It does not help that two of them meet back-to-back on the same day (in the same library branch) and frequently, the other group meets the same week. It's crazy, but I love all my groups and I'd hate to give up any of them. Anyhow, I was really pleased with myself for finishing one of the selections so early -- North and South by Elizabeth Gaskell. I'd been looking forward to this one all year, and copies were limited, so I was resolved to read it quickly and return it for the next book club member. However, I couldn't have imagined I'd read it so quickly! It's more than 500 pages but I zipped through it, could hardly put it down. Needless to say I really enjoyed this book. I loved Cranford and Wives and Daughters is one of my all-time favorites, so I had great hopes for it. I was not disappointed. Essentially, it's another story of a young woman and man who fall in love after first disliking each other, with verbal sparring and witty repartee. However, it's much more than that. This one is set during the Industrial Revolution, with a background of factory strikes, a dirty, gritty Northern town, and the working poor. Young Margaret Hale was raised in a privileged background, as the companion to her wealthy cousin. After her cousin marries, she returns to live with her parents in a small, idyllic town in the South of England, where her father is a curate. Her mother married beneath her to the parson of a small living, where she is miserable. Mr. Hale has a crisis of faith and leaves his position, taking a job as a tutor to wealthy industrialists in the Northern town of Milton (based on Manchester). Here Margaret meets John Thornton, a self-made industrialist who owns a cotton mill. Margaret is at first unimpressed by this man in trade (gasp!) who is one of his father's pupils (he was too busy pulling himself up by his bootstraps for a classical education). They clash but of course they care for each other. This has been described over and over as a Victorian re-working of Pride and Prejudice. Normally, retellings and sequels and prequels of classic lit make me run the other way, but I gave it a chance. I suppose it's a bit like P&P, but it's pretty loose. Of course, you have the young unmarried woman and the gruff man who start out hating each other and fall in love -- it's such a trope that it hardly seems like a reworking, but maybe Jane Austen was the first one to use it. This story has much more social commentary; apparently Dickens lifted this idea for Hard Times, causing a rift between himself and Mrs. Gaskell. Trust me, this is by far the better novel, as Hard Times is the Dickens novel I like least. 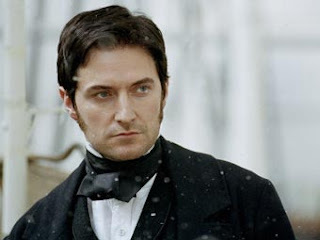 I actually finished this a couple of weeks ago, and over the weekend I watched the BBC miniseries adaptation starring the dreamy Richard Armitage as Mr. Thornton. It was so good both my daughters watched it with me, and one night we stayed up until almost midnight! Am I a good mother for exposing them to quality literature or a bad mother for letting them stay up that late? I'm glad you liked this! After loving Cranford, I struggled to enjoy North and South. (And, you know, the connection with Pride and Prejudice never occurred to me. After reading her bio, I' not sure it occurred to E.G. either, but for some reason those comparisons always pop up!) On the othe hand, I'm reading Wives and Daughters now, as you saw, and that is pure bliss. Definitely a good mother! If I'd been able to watch that when I had to study the Industrial Revolution, I would have been a lot more engaged in school in grade nine! And despite hating studying the Industrial Revolution in school (pre-Armitage), North & South is my favourite Gaskell novel. Somehow despite all the strikes and conflict, it's so comforting. And if you like Armitage, he plays a baddie in Captain America. With glasses. Just think about it. ;) Willoughby (Dominic Cooper) and Henry Tilney (JJ Feild) also show up, it's pretty good times. Once again, we are complete opposites. You know how much I despised this one. :D I read it fast too, but mostly just so I could get it over with! I really struggled with this one, and finally gave up about half-way through. But I still have it on the TBR pile, to try again someday. I did enjoy Wives and Daughters, and of course Cranford, (but not Ruth). Audrey -- I don't think it really is a conscious re-working of P&P -- there must be lots of books with men & women conflicting and falling in love -- like Much Ado About Nothing! Beatrice and Benedick can't stand each other, but nobody seems to accuse JA of stealing from Shakespeare! I agree, W&D was pure bliss. I LOVE the miniseries -- Michael Gambon was so wonderful as the squire: "I'm not saying she was very silly, but one of us was very silly, and it wasn't me." Carolyn -- I can't imagine studying the Industrial Revolution in 9th grade. I would have been bored silly! I was thinking about seeing Captain America just for Richard Armitage. Apparently he plays a lot of evil characters -- I'm afraid I might stop liking him so much if I watch him as a bad guy. Amanda -- I'm not surprised you didn't like it, just not your thing. Lisa May -- I liked Cranford but I haven't read Ruth yet. I still have Sylvia's Lovers and Mary Barton on the TBR shelf. I've also heard good things about Cousin Phillis which is a novella. This was my first Gaskell and I absolutely LOVED it. I went and bought the BBC mini-series right after I finished it. It is the perfect rainy day entertainment (Richard Armitage? Yes PLEASE). The only other Gaskell I've read is Cranford (which i loved) and Mary Barton. I wasn't too crazy about that one, but since it was her first novel, that might be why. And I'm not saying it was awful, it was just....off somehow. 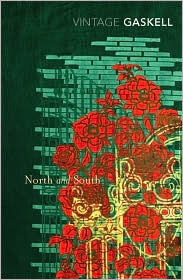 I struggled with North and South when I first read it, but the adaptation helped me understand it better. I'm thinking of rereading the novel soon. I loved Wives and Daughters, haven't read Cranford yet (from all I've heard, it's a treat, so I'm putting it off until I need a comforting read). Back to Armitage: yes, he plays a lot of evil characters but one where he's just adorable are the Vicar of Dibley episodes. I think they're available on both Youtube and Netflix. My mother's been telling me to read Gaskell for years. I think it's time I put this one on my to-read list - and actually READ it, within the next couple months. I hope I like it as much as you did so I feel inspired to watch the miniseries...I've seen the Austen ones so many times and I'd like to get some fresh blood into rotation. Oh, and I'd say you're a good mother for letting your kids stay up to watch the bbc series. I don't think I would've gotten so into Austen if my mother hadn't watched P&P with me so many times. I read this novel at the beginning of the year - and I must admit, it wasn't what I was expecting. Generally I liked it, but I found it too melodramatic and, yes, Victorian, to be able to say that I loved it. Oh, definitely a good mother! What's the point of enjoying a great TV series like N&S without someone else to share it with? N&S is one of my favourite Gaskells. I don't think it's a reworking of P&P, every romance novel is that, really. The detail & gritty texture of the Northern setting really set it apart because, of course, Gaskell knew Manchester. The love story is wonderful but it's the underlying themes of the industrial revolution that give the story so much depth. I really liekd Cranford and I have this one hanging around. I look forward to eventually reading it! The only book I have ever read by Gaskell was Wives and Daughters, and I absolutely loved it. Her characterization of the women was so different than any other Victorian novel I had ever read! I'm so glad you enjoyed this one -- I'm putting it on my TBR! I read N&S years ago when I was in a Gaskell phase and I really enjoyed it too. THEY do say that there are only 7 basic plots in story telling so they're bound to be repeated and it doesn't bother me although obvious rip offs do. You're a great mother, obviously! Good mother! You are a good mother for encouraging them to watch! I read this a few months ago and really enjoyed it. I still haven't read any of Gaskell's other novels but I did read her novella, The Moorland Cottage, which I loved. Three book clubs is insane! I want to read this one badly, but I have yet to get around to it. This is one of the few situations in which I think the movie is better than the book. I LOVED this miniseries (though the more I watch it, the more Margaret annoys me as a character at times!). I also think one important difference in this book is that it's the woman who's "marrying down" with the man, which I think is a pretty significant step to take for a woman in this era. I thought the book was a little heavy-handed, though, and the miniseries just lovely. sounds wonderful, and I love that cover! A GOOD mother! They can sleep anytime! Reading is more important than sleep! I loved this book too! Now I weant to reread it. Or maybe jsut watch the movie again :) My ancestors lived in Manchester during the Industrial Revolution, working in the mills, so I feel that connection to it too. Definitely a good mother! They can always catch up on sleep. North and South is one of the few cases in which I prefer the movie to the book. Though the book isn't half-bad! :-) The movie is just SO WONDERFUL!